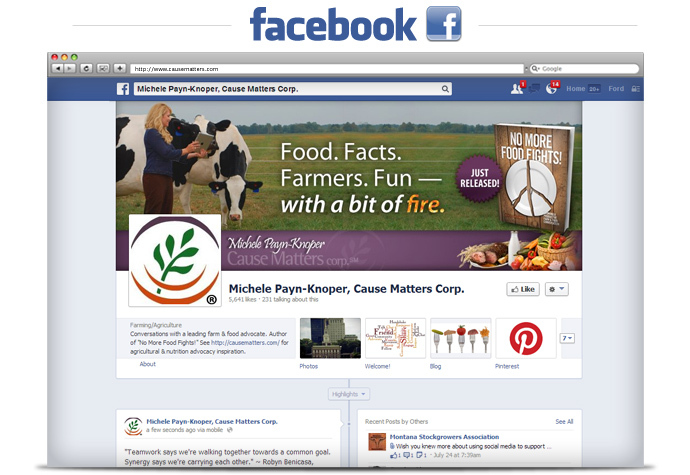 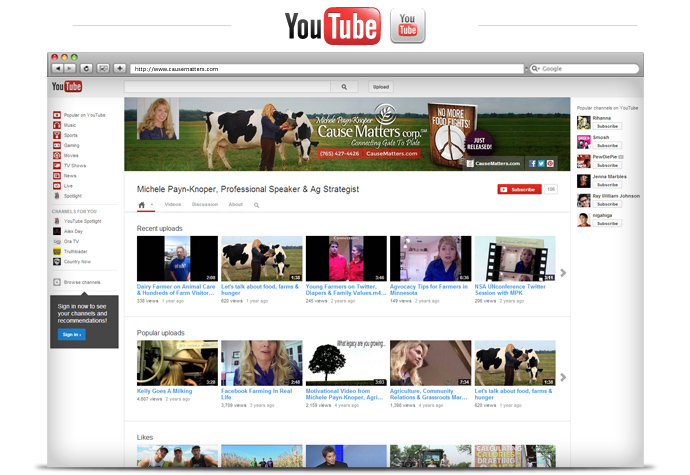 Michele Payn-Knoper is known as one of North America’s leading farm and food advocates. 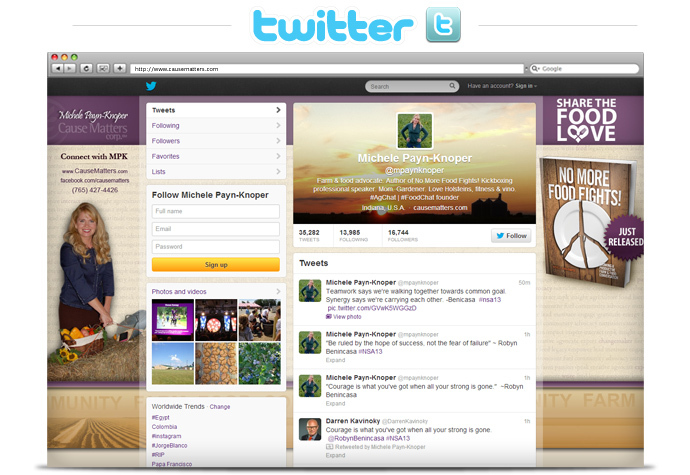 She serves as a resource for people interested in agriculture and food through speaking and community building programs. 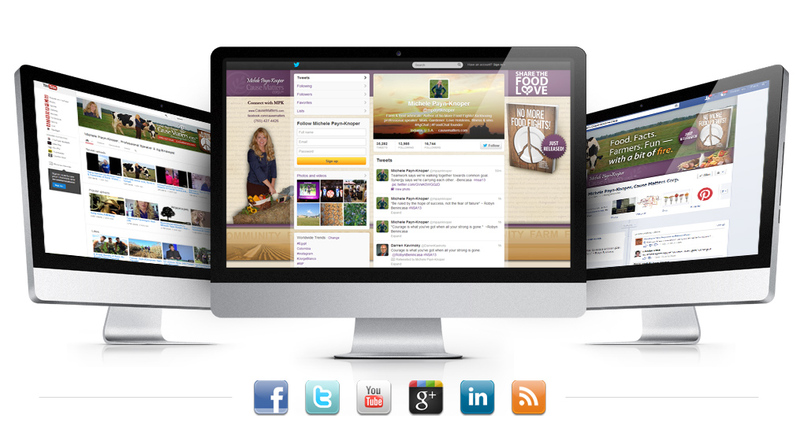 We really wanted to make sure her social media profiles were a reflection of her brand and website, Cause Matters.